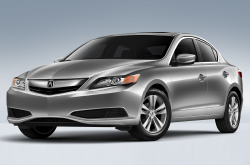 Thanks for choosing Vandergriff Acura as your resource for 2013 Acura ILX reviews. All Acura retailers in Fort Worth aren't the same. At Vandergriff Acura, we feel it's our responsibility to outfit customers with quality Acura reviews that set us apart from the typical retailer. All of the things you need to know about the Acura ILX are right here in this article. Each passage is overloaded with practical info and ILX details. Is the Acura ILX right for you? Read on and find out! When considering the 2013 Acura ILX next to the 2013 BMW 1 Series, Lexus CT 200h and the Audi A3, and you can notice that the ILX ranks above those autos in gobs parts. View the hightlights below. 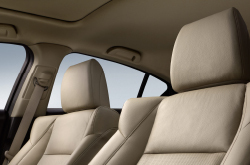 See inside the 2013 Acura ILX - view video here! Feel the [resassurance] that comes along with receiving tried-and-true repairs by Acura trained technicians, a long warranty on all jobs, and accredited Acura parts. At our Fort Worth area repair center, this and more is available for Acura ILX drivers. Even the quality Acuras in Fort Worth can take a beating, so turn to the Acura service and autp repair buffs in Fort Worth at Vandergriff Acura. We do a large spectrum of jobs, from straightforward windshield wiper replacement and simple inspections to more intricate jobs such as engine repair. It's simple as 123: If you want buffs service and budget-friendly repair prices in Fort Worth, make Vandergriff Acura your first stop for Acura vehicle maintenance. Take a look at our current service specials by clicking the link below.